Having trouble holding yourself accountable to hit the gym? Not sure how to create a training program to yield the best results? Need an extra push to level up your training intensity? 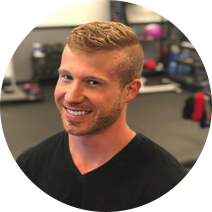 Eric’s extensive experience in personal training ranges from weight loss, competition preparation, and sports performance. Featured on Season 2 of Fit to Fat to Fit, he is no stranger to weight loss transformations himself. Training with Eric will not only teach you proper form, but you’ll be in a comfortable studio environment. Together, you’ll crush your short and long term fitness goals. Justin is a competitive bodybuilder and former athlete. He is married to his high school sweetheart and has two children. Justin will force you to change your limiting beliefs so you can attain life-long results. Get ready to work hard and have fun in the process. Brandi is a Nationally Qualified NPC Bikini Competitor who has vast personal training experience in one-on-one and group training. Brandi is extremely knowledgeable about prenatal fitness and postpartum. You can read more about Brandi under Online Fitness Coaching. Garrett graduated with his Doctorate in Physical Therapy. He has been involved in health and wellness for most of his life, participating in many sports. He enjoys helping people through providing therapeutic services either to assist in recovery from injury or for injury prevention. What is the benefit of a personal training studio verse a corporate gym? With a more intimate setting of our personal training studio, you’ll feel more comfortable. Our small close knit group of people have created the ultimate judgement free zone. Is the group HIIT class ok for beginners? We recommended one on one or semi-private training before participating in the group HIIT training classes if you are a beginner. This will allow us to properly assess your fitness level. We are happy to accommodate the one on one training or semi private sessions to work around an injury. Please obtain a medical clearance before training.  We are not able to modify the group weight training classes for injuries. You may upgrade your subscription at any time if there is open availability. You may also downgrade with a 30 day notice. This allows us to properly manage the number of clients utilizing the subscriptions.